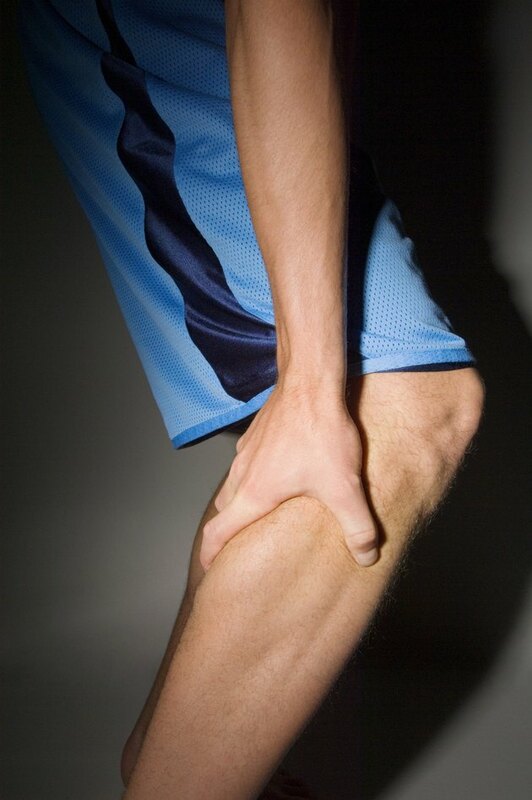 A "charlie horse" is a muscle spasm that can affect any muscle, but they are most common in the legs. The muscle forcefully contracts without your control and it forms a knot and becomes very tight. These can come about when you are least expecting them to happen and they can cause a lot of pain and discomfort. Once you get a charlie horse, there are several things you can do to relieve them. Stretch your muscle. As soon as you develop a charlie horse, stop your activity and stretch. Being that the muscle clumps up and forms a knot, this can help elongate it and release the adhesion. Massage it out. Use your hands, fingers and knuckles to massage the area where the charlie horse has taken place. This can help release the knot and alleviate pain that has appeared. Apply heat and cold packs. When the charlie horse first appears, you can use a heating pad on it to relax the spasm. Once the pain has simmered down, you can then place ice packs or a bag of frozen vegetables on it. Use pain relievers. Nonsteroidal anti-inflammatory drugs (NSAIDs) can be used to treat pain if it is still sore after you try other treatments. Examples of these are naproxen, acetaminophen and aspirin. Walk it off. Go for a walk to reduce the pain and tightness that came from the spasm. Start out with light pressure on your foot and gradually increase it as you go. Replenish your minerals. Dehydration is a common reason why charlie horses develop. Make sure to be well hydrated with sports drinks that have electrolytes when you are partaking in sports or long distance running.